Everyone knows that dining out is the ‘Holy Grail’ of my hobbies. So, imagine my joy when I heard that I no longer have to leave the house in order to source ‘restaurant quality’ food. The food delivery app ‘Deliveroo’ has launched in Dublin and promises to deliver from many major eateries across the city, straight to your door. Yes you heard me – restaurants such as Nandos, Aussie BBQ and many more straight to your door! Last week, my friends and I decided to give the app a trial run by hosting a foodie party. 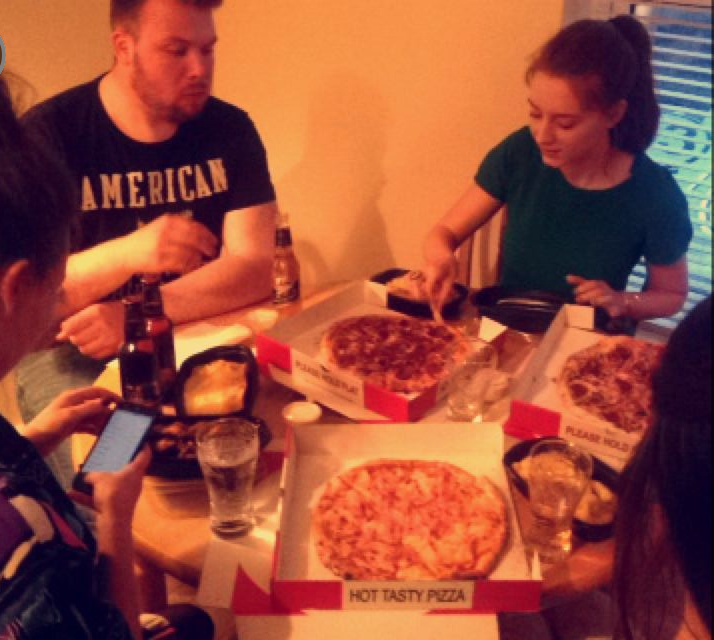 In the mood for pizza, we chose to order from McGarry’s Pub and Restaurant in Harold’s Cross, Dublin. 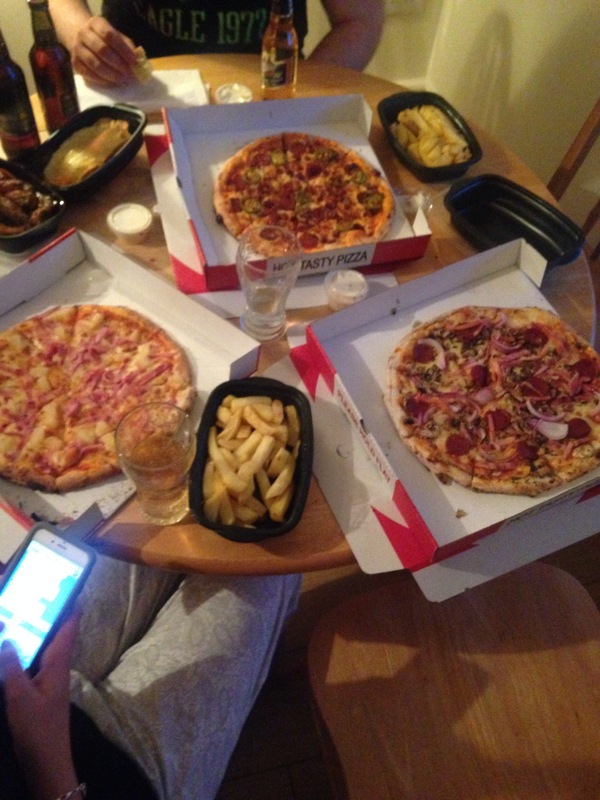 €50 supplied three large pizzas, two portions of chips, one portion of wings and a side of garlic bread topped with mozzarella. The service was super fast with the food arriving within 35 minutes of ordering online. The food was delicious and travelled well, tasting just as it would had we eaten it in the restaurant. The app itself is really easy to navigate – suitable for technophobes city-wide. I can’t wait to see what else ‘Deliveroo’ have to offer. Considering we fed five people on €50, I don’t think I’ll be cooking next time I host a dinner party. For more info you can check out the website here. « Get The Festival Look.